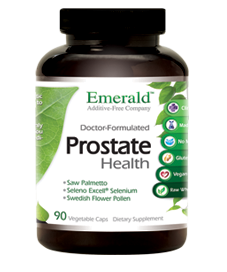 Prostate Health - a natural approach for a healthier prostate. Therapeutic dosages of Beta Sitosterol, Saw Palmetto and Flower Pollen extract have shown to possess anti-inflammatory properties, thereby improving overall Prostate Gland Health. 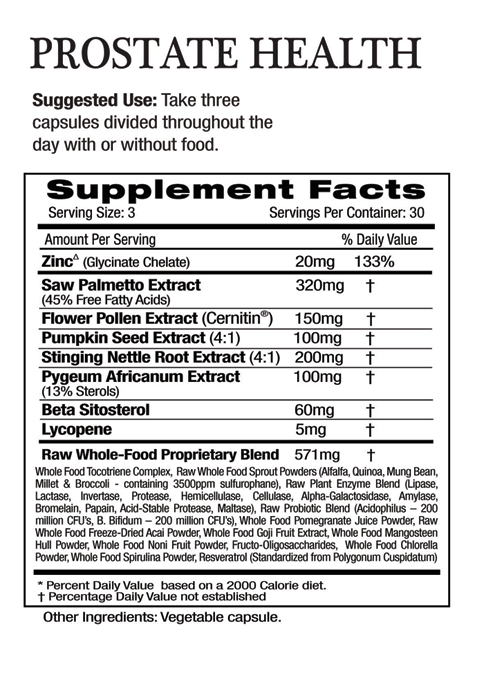 Prostate Health contains the key nutrients known to be effective in managing prostate conditions. Natural alternatives have become necessary because Proscar, the most commonly prescribed drug for this condition, inhibits PSA levels making it difficult to accurately detect the presence of prostate cancer.